To enhance your confidence and style statement we have produced many custom made personal things which looks ethnic, chic, stylish and image booster, rather than those boring metallic key chains. We have coordinated beaded key rings to match with the color of your eye glass cords or your necklace. You can leave them hanging with your office carry bag or with your car keys. 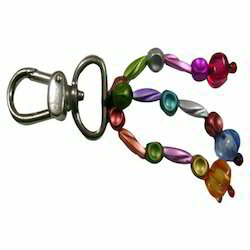 We offer an exquisite range of beaded key chains made of glass, brass, resins, bone, horn, wooden and cased. 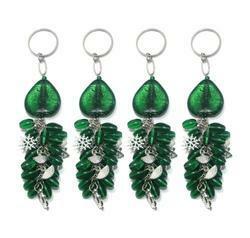 We offer beaded key chain to our customer. Fascinating designs and extraordinary craftsmanship makes these items admired by one and all and are available in a range of finishes which make for the ideal promotional giveaway and complement to corporate gifts.